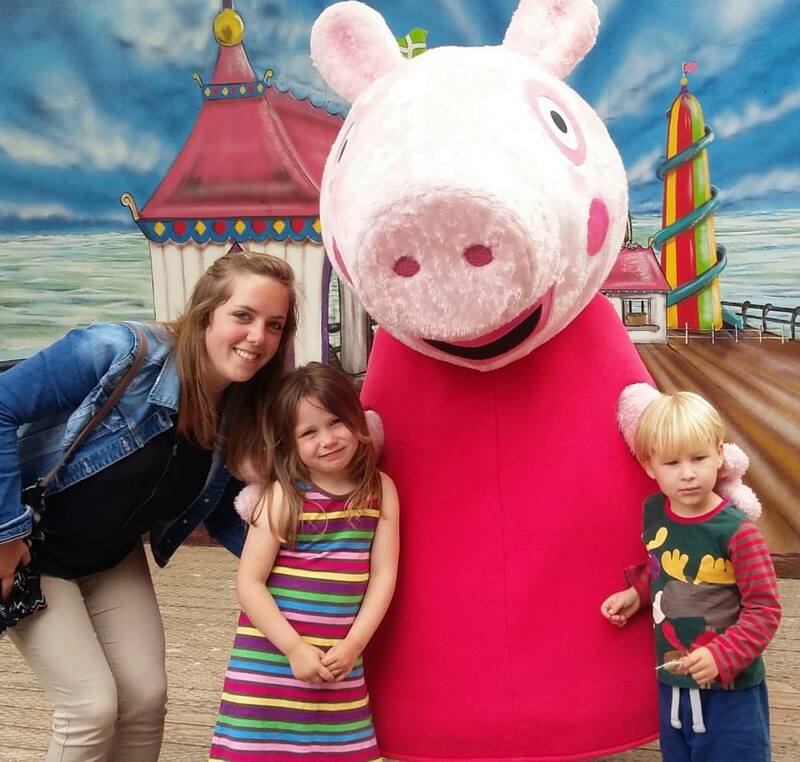 What could be better than a campsite with its very own theme park? Not much, according to my children after we had an amazing weekend at Woodlands, just outside Dartmouth in Devon. 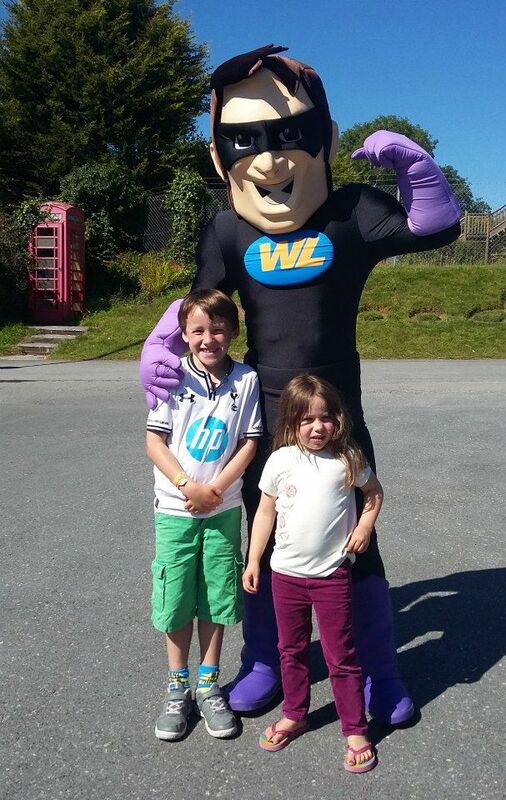 If you book two nights at the Woodlands Grove campsite, you get free entry into the theme park next door. And if you work your arrivals and departures out right, you can end up spending nearly three days on the rides. We arrived at 1pm on the Friday and went straight up to our pitch to start getting the tent up. Well - I say our pitch. This is August and the height of summer, so we were shown an area of the top field without any particular markings and informed that this was our pitch. After some slight misunderstandings about where our friends we were supposed to be camping with, and who had already arrived, might be located, we were eventually united and able to get on with pitching our tents. Luckily, there was plenty of room for our tent along with a smaller hiking tent for our au pair and our friends tents and parking for all our cars. You can only get electric hook-up if you book for a minimum of three nights (although Mr B says this was a good thing because it meant that I was without my phone, which has a battery life of about 20 minutes, for the weekend). On the day of our arrival, Peppa Pig was making an appearance in the park, so we sent 5 year old B and 3 year old W straight down into the park with our au pair to see their favourite character in the flesh, while we set up our home for the weekend. We headed down later to check out a couple of rides and the small zoo area. 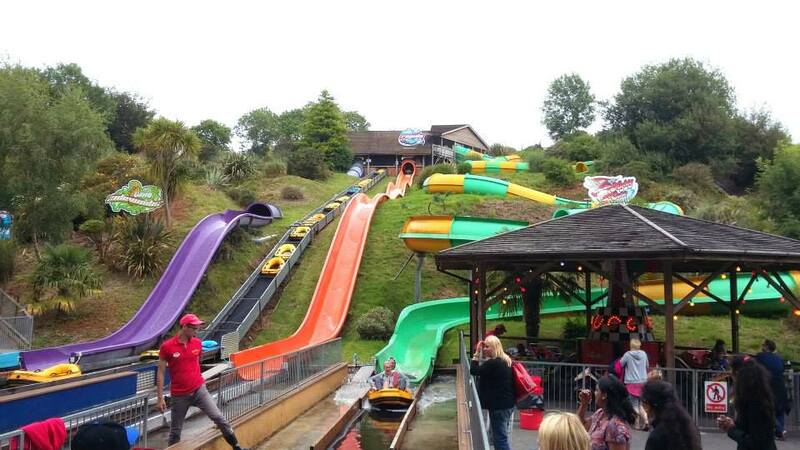 The Saturday was a scorcher and Woodlands is brilliant for its water rides. The benefit of being on site is that we were able to get into the park first thing and avoid the worst of the queues. We had originally planned to head back up to the tent for lunch, but we were having so much fun that we ordered a hot dinner from the pizza and chicken parlour and retired to the shade of one of the indoor play areas to enjoy our food and revitalise ourselves for a busy afternoon. By the end of the day, we had managed to cover about 80% of the park and we headed back up to the tent for a well-earned hotdog and burger, cooked on the barbecue. On Sunday morning, we got up and packed up our tent before heading back into the park for a final day of fun. We headed to the bits we missed first before revisiting some of our favourite rides. 7 year old E was a big fan of the Swing Dragon Swing Ship, B loved the water slides, and the Dinosaur Farm ride in the zoo farm was a firm favourite with W.
Would I book again? Definitely. It was lovely to spend a weekend without having to use the car. And even if we aren't blessed with good weather, Woodlands has a lot of indoor attractions and, further down the campsite, a large shower and toilet block with a TV and games room. I have a feeling we'll be returning to Woodlands quite a few times in the coming years. What campsites would you recommend for family fun?